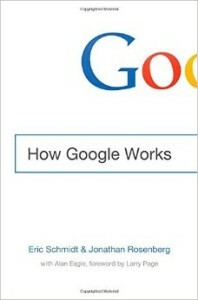 I saw a book entitled, “How Google Works”, written by Eric Schmidt and Jonathan Rosenberg. After a few minutes looking through this book, I immediately knew this was well worth the investment to extract some key principles of innovation for our work at Salvation Factory. I began reading in the waiting area, then continued to plunge into this book on the airplane. The chapter entitled, “Culture — Believe Your Own Slogans” is filled with several underlined sections with my pen and notes in the margin. Schmidt and Rosenberg emphasize that an organization, “should reflect the founders’ values, but embellish them with insights from the team’s different perspectives and experiences” (Schmidt & Rosenberg, How Google Works, 2014, p.30). The theory is that all organizations grow in the shadow of their founders. While I know they are talking about the founders of Google, Larry Page and Sergei Brin; I immediately found myself thinking about the co-founders of The Salvation Army, William and Catherine Booth. Catherine and William Booth’s ‘founding’ The Salvation Army was not simply about being the first in East London in July, 1865 (others were already there). It wasn’t about scratching out the word ‘volunteer’ to replace it with the word, ‘salvation’ to create the name, “The Salvation Army,” in 1878. It wasn’t even simply the writings and public speeches which they gave. It was that they personally represented the underlying beliefs, values and behaviors that would become the culture we now know as, “Salvationism.” It was knitting together patches of ideas into a complete mosaic vision of living for the glory of God and the salvation of souls. Every generation which has succeeded the Booths has lived in the shadow of the Booths and have sought to continue to reflect the co-founders’ values, embellished with new insights that come with new generational perspectives and experiences. Over the past 150 years, the culture of The Salvation Army has grown and matured in a wonderful way. However, at this moment in history, I believe that we are in our organizational adolescence. We are in a phase of ‘identity crisis’ where we are seriously evaluating the guiding motivations that have shaped who we are. Like a teenager, there is much experimentation with the trying on of ‘different hats’ to see whether we might want to keep the culture that has been passed on to us, or possibly abandon it for something else. Like Peter Pan, the boy who lost his shadow, we can find ourselves searching for the shadow of our founders once again. We might even be so bold as to try to sew different shadows to our feet simply to have that sense a belonging. 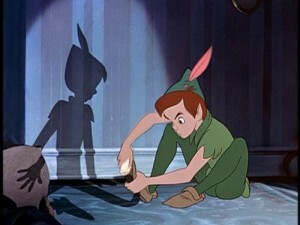 It is very easy to be influenced by a peer pressure that seeks to force our organization to abandon the shadow of our founders, but as long as this continues, we will find ourselves trapped in an endless, entropic spinning from one identity to the next to the next… We will find ourselves in our own version of a denominational “Peter Pan Syndrome” — an adolescence that never transforms into adulthood. As we seek to find a solution, I believe that returning to the original vision of The Salvation Army is key to our moving forward. Sewing ourselves to the shadow of our founders is the rite of passage we need to cross the threshold into a new phase of life development for our movement. What an incredible vision that has created an incredible culture designed to see the whole world redeemed. I pray that every Salvationist will sew themselves to the shadow of this vision — for to do so is not simply to stand in the shadows of our founders, it is to stand in the shadow of the cross. Steve is the Co-Director of Salvation Factory. He is passionate about understanding the beliefs, values and behaviors of Salvationism and translating these with innovation and creativity into new expressions in the life and ministry of The Salvation Army.